Note: You'll need to add the weight of every product you ship. See Add product shipping weight. 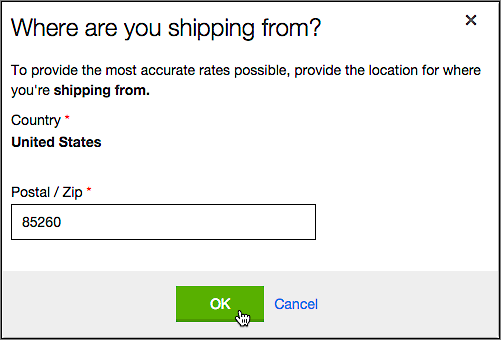 In the Settings tab, click Shipping. Click Add for United States Postal Service (USPS). Note: If you select an International method, it will default to All Countries. Click Edit to limit shipping to particular countries/regions, then type the name in the search bar and select it as it appears below. When you're done click Save.